Inspiring belief is essential. To achieve peak performance, everyone on the team must believe our goals are not only possible, but realistic and achievable. One of our most important jobs as leaders is to inspire and motivate our teams. We set the vision and help people think big. Inspiring belief is essential. To achieve peak performance, everyone on the team must believe our goals are not only possible, but realistic and achievable. 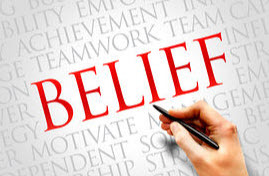 What are the best ways to inspire Belief? Help individuals feel and taste success. Professional athletes do this all the time. Help your team imagine what it will be like to win. Paint the picture of winning, incorporating all senses. Where will you be? Who will be there? What will you see? How will you feel? What sounds will you hear? Once you help your team create a visual picture of winning, it’s much easier to focus on the goals and build your team’s motivation to drive towards that visualized picture of success. Match up people and teams. Everyone likes to compete and win. Sales teams do this all the time in ways both big and small – from President’s Club reward trips to little contests. Awards for Employee of the Month and Top Team go a long way in building belief and confidence, while also fostering environments that recognize hard work and peak performance. Think of an Olympic team. Olympians surround themselves with other athletes who believe winning is possible. They together do everything within their power to compete at the top of their game and win. Every single member on the team, especially the team leader, must believe. Think of Norman Vincent Peale’s quote, “Shoot for the moon. Even if you miss, you’ll land among the stars.” March towards the stretch goal, not the target. This is the real key. Break goals down into small, manageable bits. For instance, take a sales rep. Look at her stats – total meetings, lead conversion, transactions, average order size, close rates, etc. Slice and dice her numbers to show what is possible if she improves just slightly on one or two metrics. Incremental improvements have big impact. These baby steps are easier to digest and believe. Building belief is often a simple game of data. Break the data down into believable bite-size chunks.